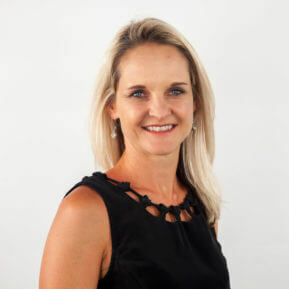 Rentia Landman - Benedict Associates Ltd.Benedict Associates Ltd.
Rentia’s belief that every challenge holds a gift of growth underpins her approach to serving her clients. A registered Industrial Psychologist and Professional Coach, practicing in South Africa she partners with her clients, both individuals and institutions, assisting them to not only solve their current challenges, but also to recognize and capitalize on the opportunities for growth –unleash their own greatness and thrive amidst the realities they face. Rentia holds a Masters degree in Commerce with specialization in industrial / organizational psychology and continues to add to her long list of qualifications, fueling her hunger for knowledge and continuous development professionally and personally. Motherhood has impacted Rentia’s life profoundly and she draws on this, coupled with her rich experience in Human Resources in the Financial Services and Higher Education sectors to her consulting practice. Her expertise range across a wide scope of HR practices including Change Management, Organizational Development, Psychometric Assessments, Performance Management, Climate and Culture and Talent management. Her greatest asset is the way in which she applies behavioral science in an ethical manner, inspired by best practice yet completely customized and adapted in a way that suits each client’s unique needs. Rentia’s current focus areas in which she hopes to continue making a positive contribution at individual and organizational level are: values alignment, integrity, flexible working practices, coaching mothers, resilience and courage. To have the privilege of working alongside a group exceptional human beings and seasoned professionals with a shared passion. It allows me to live my belief that collectively we are stronger and can achieve greater positive impact. Drawing on each other’s expertise and gifts allows me to play to my strengths knowing that collectively we offer the client the best quality service born out of a true desire to impact them positively. Finally, to expand my reach outside of South Africa and to share the learning and wisdom that my beautiful country has born in me with others around the globe. The courage I have personally shown in making challenging decisions to align my spoken values to my lived values. This has born in me an appreciation for the fact that doing the right thing does not mean it will be easy or without pain – an insight which I hold on to when I support my clients through their unique change journeys. This allows me to meet them in their discomfort with compassion whilst drawing on my own joy and deep sense of purpose and meaning to inspire. A passion for making a meaningful contribution to every person or client I engage with. Drawing on my rich academic foundation which provides me with well researched scientific tools and models brought to life by my own personal experience both personally and professionally, I create flexible, unique and client specific solutions that matches their readiness to embrace them. That we all have the answers within ourselves and that coaching and Organizational Development are processes that facilitate individuals and organisations to access theirs in a manner that challenges them, yet allows them to keep ownership of their own decisions and growth. Living a life of meaning and purpose, recognizing our interconnectedness and reflecting this in my every action and decision, moral courage and above all else, recognizing that LOVE is the only truth that has the capacity and power to drive out all fear and darkness. Geographically, the place I am privileged to call home: Cape Town. My true happy place is around flowers and snuggled up with my two precious children. 2017 Copyright © Benedict Associates Ltd. All Rights Reserved.